Great sized home w/incredible functionality, new carpet throughout, new roof, vaulted ceilings, open floorplan, & an amazing location. The entrance greets you w/wood floors, an open staircase, vaulted living room w/natural lighting & flows seamlessly into the formal dining room w/trey ceiling. Eat-in kitchen w/breakfast bar, island, plentiful oak cabinets for tons of storage, beautiful bay window, & open to the family room w/gas fireplace & access to the patio & fenced backyard. Main floor laundry room, 3/4 bath w/shower, & study w/french doors & closet making for a great optional 5th bedroom. Spacious master bedroom located on the upper level w/vaulted ceiling, bay window, walk-in closet & private 5 piece bath w/double vanity, soaking tub & glass shower. Also on the upper level are three secondary bedrooms & a full bathroom. 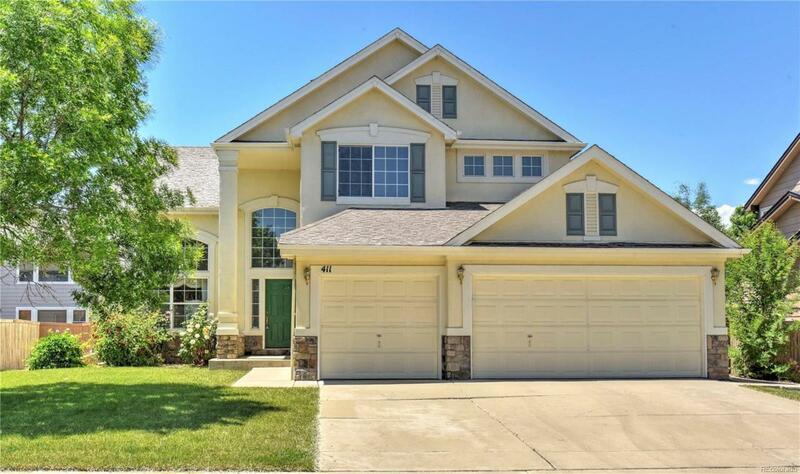 Highly rated Adams 12 School District & located by the community pool, Big Dry Creek walking trails, Hunters Glen Lake & Thorncreek Golf Course.